It feels like summer here in Georgia and I couldn't be more ready! Don't get me wrong, spring is a beautiful time of year, but I've had enough pollen and I'm ready for some sunshine without the sneezing! This is why my newest mini album makes me so happy! Summer fun here I come! 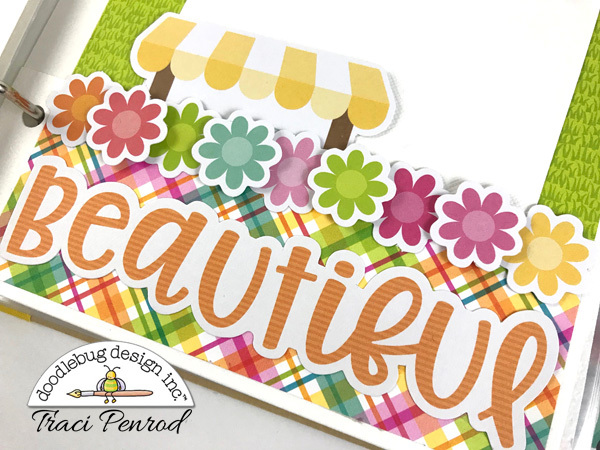 I decided on yellow (think sunshine) and lots of Odds & Ends and Chit Chat for the cover. 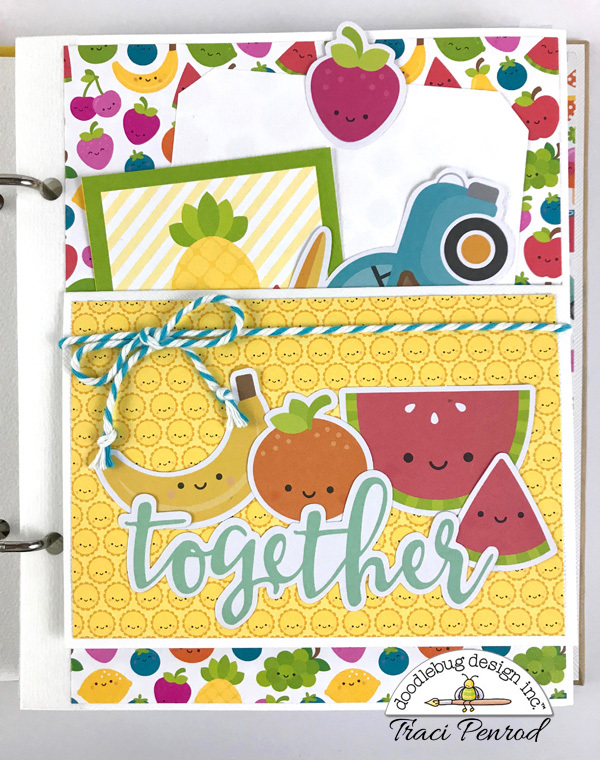 I can't get enough of these adorable die cuts, and when you pair them with chunky twine and sprinkles? Cuteness!! Another thing I love about the Sweet Summer collection? Well, I grew up in the 80's ... big hair, big shoulder pads, and a boombox on the beach with a collection of mix tapes. Need I say more? What could be cuter than smiley-faced fruit?? 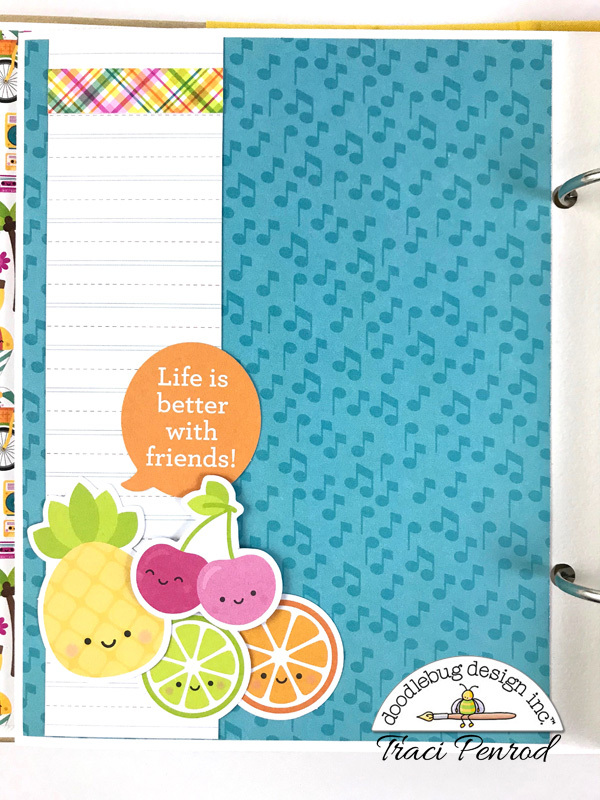 Okay ... true, everything Doodlebug puts a smiley face on is cute! 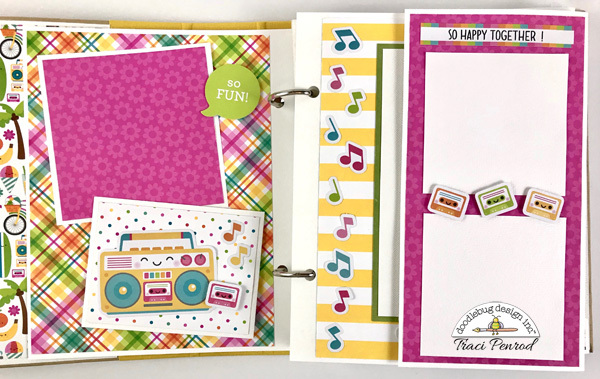 I like to add lined journaling spots throughout my albums. 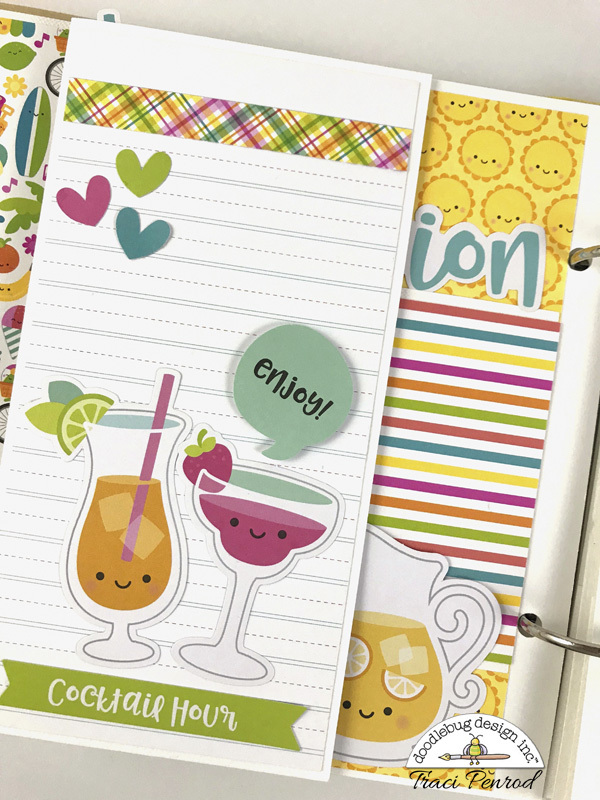 This paper comes in the Simple Stories binder that I used, and looks so cute covered in colorful drinks and hearts! This album is available as a DIY kit in my Etsy shop. Visit my blog at Artsy Albums for more details, and thanks so much for stopping by today! Come back every day for lots of Sweet Summer inspiration from the team!